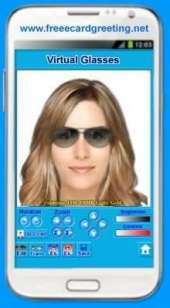 virtual glasses mobile apps. Do not have to install the browser using HTML5, such as chrome / safari / Firefox / Opera running any operating system iOS Android / window phone and more. Upload pictures and recording has finished. Applications are small Available on the Internet at low speeds.